The ACLU of Washington has filed a lawsuit against Skagit Regional Health, a public hospital and clinics, for failure to comply with Washington’s Reproductive Privacy Act (RPA). The right to choose or refuse an abortion is a women’s fundamental right in Washington state, guaranteed under the RPA passed by voter initiative in 1991. Washington is one of the most pro-choice states in the country. Yet health care facilities in our state are not complying with our reproductive health laws. 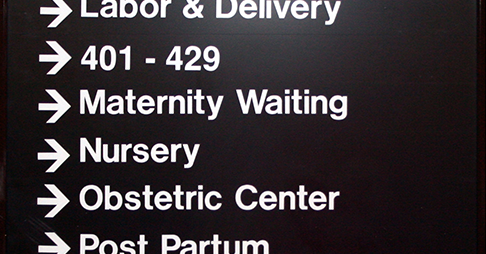 The RPA requires public hospital districts that provide maternity services to provide substantially equivalent abortion services. Skagit Regional Health, Washington’s third largest public hospital district, provides a wide array of maternity care services, including over 1200 births in 2012, but rarely provides abortion services. Certainly, no individual health provider should be required to perform abortions; however the public hospital district, itself, must provide the services. Merely providing referrals for patients seeking abortions is insufficient. Women shouldn't be shuffled off to a different doctor and facility for a reproductive service that the public health facility is fully capable of providing. Doing so discriminates against the exercise of a women’s fundamental right to choose or refuse an abortion. Further, adding barriers to abortion access limits women’s ability to make decisions about their care. The ACLU-WA has deep concerns about the impact of religious-secular health system affiliations on reproductive and end-of-life health care. It was through the investigation of a proposed affiliation between Skagit Regional Health and PeacHealth (a health system governed by religious doctrine) that we discovered that not only do many religiously affiliated health systems limit access to reproductive health care, but even public hospital districts in Washington state are not providing abortion services! While this lawsuit is against Skagit Regional Health, it is only the beginning of an ACLU statewide effort to ensure all public hospital districts in Washington state are complying with the reproductive privacy act. We have already sent three letters to public hospital districts in Washington state that we believe may not be complying with the law, and we will continue to investigate public hospital districts across the state.